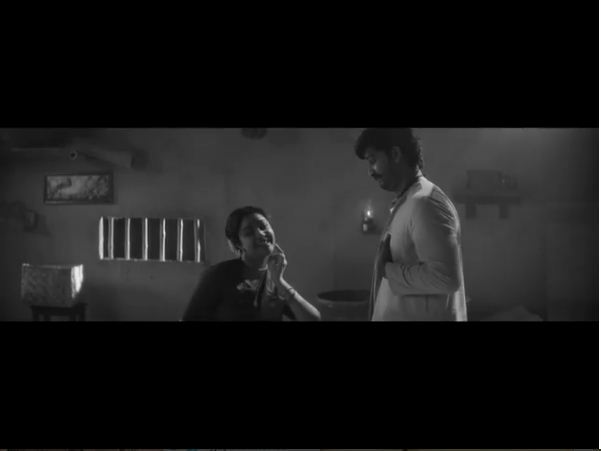 Home » Telugu » News » Watch: The deleted scenes from Mahanati featuring Keerthy Suresh and Dulquer Salmaan is a treat! Watch: The deleted scenes from Mahanati featuring Keerthy Suresh and Dulquer Salmaan is a treat! A lot of scenes and songs that were shot for the film had to be deleted for some other reasons. Now, the makers have now shared some of the deleted scenes. Nag Ashwin’s directorial venture Mahanati, a biopic on legendary actress Savitri is winning hearts of the audience. The film has received appreciation from all the corners. The film is not only receiving appreciation but is also earning huge at the Box Office since its release. Impressed by the performances by each star of the film, recently, Chief Minister of Andhra Pradesh N Chandrababu Naidu met the makers of Mahanati and felicitated them. Keerthy Suresh, producers Aswini Dutt, Swapna Dutt and Priyanka Dutt, director Nags Ashwin and Savitri’s daughter Vijay Chamundeshwari attended the felicitation ceremony which took place in Vijayawada. The film sees Keerthy Suresh in the role of Savitri whereas Mollywood star Dulquer Salmaan is seen in the role of Gemini Ganesan. Well, the makers of the film are in treat even post the release of Mahanati. A lot of scenes and songs that were shot for the film had to be deleted for some or other reason. Now, the makers have shared some of the deleted scenes including a vintage song, which is a visual delight. Here’s another deleted vintage song from #Mahanati! Post-Mahanati, Keerthy Suresh has now joined the sets of the Vijay – AR Murugadoss film, currently dubbed as Thalapathy 62. The makers are currently shooting for the second schedule in Chennai. After Chennai, the makers will fly to the USA for the next schedule. There are a lot of expectations from Thalapathy 62 as the combination of Vijay and Murugadoss has set the bar very high. Thalapathy 62 marks the second association of Vijay and Keerthy, after 2017’s Bairavaa. The Sun Pictures’ production venture also stars actors like Varalaxmi, Radha Ravi, and Yogi Babu in crucial roles. The film is expected to release this year in Diwali.